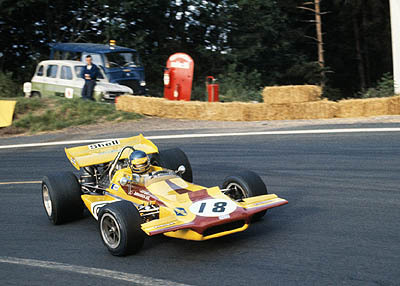 All race fans - of a certain age - will have their own favourite memory of the late Ronnie Peterson, be it his sensational F2 exploits - at a time when he was also contesting the Formula One World Championship - the 'coffee table' March, the 6-wheeler Tyrrell, the 1972 all-conquering Ferrari 312P Sportscar World Championship winning team or his good grace in playing support to Mario Andretti in the JPS in 1978. When remembering the greats one tends to remember the world champions, though notable exceptions include Stirling Moss and Gilles Villeneuve, however, there are others who earn a special place in the hearts of race fans simply because of their style, their guts, their out and out love of racing. Anybody who ever saw Ronnie racing loved the guy. 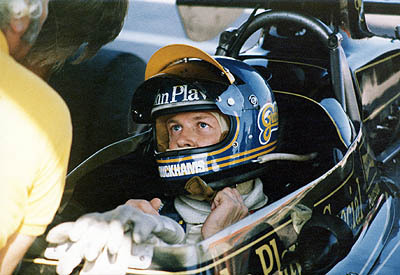 Sadly, the popular Swede was killed in a controversial accident at Monza in 1978, an accident which he initially survived before subsequently succumbing to freak medical complications. Over thirty years after his tragic death, Ronnie is still fondly remembered, indeed we are sure that some of the pictures on this page will have brought lumps to a few ageing throats. Sadly, news reaches us that his museum in Orebro, Ronnie's home town, has closed just over a year after opening in May 2008. The museum, which has been run by a non-profit association, with assistance from a number of sponsors, has, as is so often the case, failed to attract funding from the government either at national or local level. "We have had over 14,000 visitors and brought in about 1.8 million kronor to the local community," Joakim Thedin, chairman of the Ronnie Peterson Museum Association, told Pitpass. "They have support us with 0 Swedish kronor," he added, referring to the politicians. I remember Ronnie he was my hero! I am dutch born 1964. I am working on a project to remember him. And i will come to örebro to show the endresult. It can take a lttle time. But in 2015 or 2016 i am ready to show my tribute. It is a 50, 000 euro project. All my money is in it. Örebro should shame them ( the politicians). Hunt, Regazzoni and Depailler tried to save Ronnie. I know why! Ronnie would have saved them too!"